Start the planning process early. Most advisors estimate that the sale/acquisition of a medical practice can take two to five years to complete, depending on the size and complexity of the practice. The two to five year period represents the amount of time needed to organize the office and files, identify the correct buyer, negotiate and close the deal. The physician or group, as the case may be, should also keep in mind that most acquirers, with the exception of hospitals or large institutional employers, will require the physician(s) to stay onboard for at least one year after the sale has closed. In the years leading up to a sale, it is essential that a medical office avoid lowering productivity, thereby making the practice less attractive to potential acquirors. In fact, in preparation for a sale many practices employ additional staff, including physician employees, to ensure patient demand is met and there is capacity to meet a projected increase in patient volume. While obvious that a loss in patients tends to reduce the purchase price of a practice, the loss of key staff may reduce the value that an acquiror is willing to pay for the practice as well. In addition, a physician or group preparing a practice for sale should also have a good working knowledge of all overhead expenses essential to calculating the value of the practice. Overhead expenses range from medical and office supplies to payroll expenses to rent or property tax if the practice owns the building in which it is located. Any personal expenses that may have been counted as business expenses either for taxes or other reasons should be excluded from overhead expenses to increase net profit when positioning the practice to be acquired. A trend of increasing profits, no matter how modest, makes a business more appealing to potential buyers. To begin the acquisition process, both parties to the sale often sign a confidentiality agreement, which requires that the information obtained as a result of due diligence investigation be kept confidential. Generally the agreement will include a deadline by which all due diligence must be completed, as well as details regarding the scope of the due diligence. The parties, if prudent, would include an exclusivity provision requiring that neither party negotiate the sale or purchase of the medical practice with a third party for a specified period. After the basic terms of the transaction have been determined, the parties may execute a Letter of Intent establishing a basic outline of the proposed acquisition. Traditionally, a practice acquisition may take the form of either a stock purchase or an asset purchase. With a stock purchase, the purchaser acquires assets (equipment, furnishings, and accounts receivable) as well as liabilities (payables, obligations to employees, malpractice actions). Acquisition of corporate stock is most prevalent when: (i) the current physician employee(s) of the practice is/are becoming a full or partial owner of the practice; or (ii) when a hospital is purchasing the practice and the physician shareholder(s) or employee(s) is/are becoming employees of the practice. Asset acquisitions are more common when a seller wishes to close a practice and retain accounts receivable, and a purchaser does not wish to be responsible for liabilities. The purchase price is calculated as the sum of acquired assets (i.e. tangible assets, intangible assets, and accounts receivable) and must be determined in accordance with fair market value (“FMV”) in order to comply with regulatory requirements. FMV is the price resulting from bona fide bargaining between well-informed buyers and sellers, and does not take into account the volume or value of referrals by the referring physician or other business generated between the parties. The two types of assets of a practice requiring valuation are tangible (including furniture, equipment, and improvements) and intangible (goodwill). Tangible assets may be valued at book value or appraised separately if the parties believe there is substantial value to the tangible assets that warrants a third party appraisal or if there is disagreement about the valuation. Appraisal will also insure that the purchase price does not include payment for referrals. Commonly, a seller will propose that tangible assets are less valuable than intangible assets, because real estate frequently is not involved, and usually most of the office equipment and furniture have depreciated considerably. While the methods of valuing tangible assets vary and depend upon many factors, valuation methods frequently utilized include "capitalization of earnings method," "capitalization of excess earnings," "discretionary cash method," "the discounted future earnings method," and the "formula or rule of thumb method." The formula or rule of thumb method has been referred to as the "laymen's" approach to valuating a business concern. This method is usually a function of market value, and will often reflect the value of a business on the open market. A frequently used formula entails totaling the gross revenues for the past five years then dividing by a factor of five to obtain the average gross revenue. Intangible assets, such as goodwill, are generally based on the practice’s size, location, reputation, patient market, and profitability. Other medical practice intangible assets may include telephone listings, contracts with managed care organizations, experienced office staff, assignable lease agreements under which the rental price is below current market value, assignable vendor agreements and non-competition agreements. When attempting to value practice goodwill, one must take into account various elements such as operating procedures and policies, the quality of support staff, salaries of personnel, overhead, an established client base, patient records, computer systems and medical library resources, practice history, history of malpractice suits, degree of dependence on referrals and basis for referrals, third-party payor participation and mix, other issues with payors such as audits or malpractice, and revenue history. The practice location and demographics are also viewed as important factors in calculating practice goodwill as often the harder it is to start a practice from scratch in a particular location, the higher the value of the practice to be sold. At any rate, the valuation should be determined using a recognized valuation methodology, consistent with generally accepted accounting principles, and supported by written documentation. There are two ways a physician can sell a practice: a hospital (or other organization) can purchase stock in the entity that owns the practice, or it can purchase the assets of the practice. There are advantages and disadvantages to each type of sale, and it is important that a health care attorney and an accountant correctly structure the deal and its terms. Whether a stock sale or an asset sale, the controlling document is the Purchase Agreement which details the terms of the acquisition, including the assets purchased, liabilities assumed, as well as post sale covenants. all general intangibles of the practice, including all good will in the business and all rights to any trade names, service marks and domain names; and leasehold improvements. In the case of an asset sale, only assets enumerated in the asset purchase agreement are sold. The buyer will be required to obtain new provider numbers, which may not be available on the day of the sale. Although this could create a lag or a gap in payment for the buyer, the buyer will not be responsible for any seller liabilities. In the case of a stock sale, all corporate assets transfer from the seller to the buyer, and the buyer also assumes the seller’s liabilities. Generally, all medical practice purchase/sale agreements contain a list of all the patients of the practice which will be transferred at the closing. Depending upon the size of the medical practice, these lists are often incorporated into the sale agreement by reference, and are actually contained in a separate document. It is critical to realize that the sale of a medical practice does not include the sale of patient records. The sale of medical records is prohibited by law in most states since those records and the information contained therein are confidential. Instead, the purchasing physician agrees to act as the custodian for the patient medical records. Under these circumstances, the contract of sale should contain a clause which provides that the purchasing physician agrees to receive the transferred records, and further agrees to retain the records in full compliance with retention and confidentiality laws. 2. Assets to be Excluded. Commonly excluded assets include real property, cash, bank accounts, pension funds, insurance proceeds or cash value of any insurance policy, artwork and personal effects of seller’s employees, and controlled substances. The excluded assets are customarily listed on a schedule as an attachment to the purchase agreement. 3. Accounts Receivable. In an asset sale, the seller’s accounts receivable are generally not an acquired asset. Rather, the seller retains the receivables and the responsibility for their collection. When they are included, mechanisms to ensure the buyer’s continued ability to collect those accounts should be secured. Additionally, the parties should address other professionally related income that may not be recorded as an account receivable of the seller, such as surpluses, administrative fees, and withholds owed to the seller by managed care payors that may be received by the buyer post-Closing. 4. Patient Records. As a part of the negotiations, the buyer and seller should determine how they will retain the patients’ records after the sale, as well as the time frame for notifying patients of the transfer of the practice. The buyer and seller may choose to sign a Medical Records Agency Agreement for the retention of the patient records wherein the buyer covenants to keep and maintain the medical records of seller’s former patients for the minimum period required by law. Under such an Agreement, the seller’s obligations with respect to maintenance and access of medical records by patients are effectively assumed by the buyer. Abandonment is a form of professional negligence that occurs after a duty (physician patient relationship) has been established by not properly disassociating oneself from the professional relationship (i.e., failing to provide adequate notification which would enable a patient to seek alternative healthcare) causing an injury to the patient. In fact, the law mandates adequate notification be given to patients to ensure continuity of medical care. What will constitute adequate notice is dependent upon the patient's individual treatment. However, a general rule of thumb is to provide at least four (4) weeks’ notice prior to termination or transfer of medical care. The parties involved in the sale of the practice should begin planning the transfer of the practice six months to one year in advance of the closing date for the sale to allow sufficient time for the orderly transition from seller to buyer, and to avoid claims of abandonment. I recommend a jointly drafted formal introduction to acquiring entity and its physicians be published to all patients of the to be acquired practice. The letter advises the patients of the seller's intention to transfer the practice, the patient's need to obtain continuous care and include a list of recommended physicians (if the patient’s treating physician will not remain on board with the practice) and the effective date of the acquisition. A prudent purchaser will require that the letter include an endorsement from the selling physician(s) highlighting the credentials of physician(s) associated with the acquiring entity. 5. Liabilities. It is critically important to list specifically which liabilities the buyer will take on as a result of the purchase. Generally in an asset purchase arrangement, the buyer does not assume any liabilities or obligations of the seller except for those liabilities specified on a schedule. Such liabilities may include any continuing contracts that the buyer is assuming such as real estate or equipment leases, services agreements for equipment servicing, billing, staffing and janitorial services, and any vendor bills. All such contracts should be scrutinized to ensure that they can, in fact, be assigned to the buyer and will be so assigned at Closing. The purchase agreement should also address expectations regarding retained employees, i.e., will the seller’s employees be guaranteed positions with the purchaser or will they be offered the opportunity to interview for a position. All employee contracts should be reviewed by the both the seller and the buyer to assess what binding obligations the buyer will have to the seller’s employees Note that in an asset sale, a purchaser will not be bound by a seller’s employee benefits, such as accrued vacation or sick time, but in a stock sale, the purchaser would be obligated to address those benefits. the allocation of the purchase price among hard assets and intangible assets. 7. Representations and Warranties. The purchase agreement should contain the parties’ respective attestations to such matters as their legal right to buy or sell the practice, that they are in legal good standing and have complied with all laws and regulations, they have obtained all required approvals, paid all taxes, have no pending litigation or undisclosed liabilities. The purpose is to elicit information about the seller’s business and give a foundation for recourse if undisclosed or unassumed problems later surface, as well as stipulate seller indemnification if any seller representation or warranty is later determined to be false. Any exceptions to the Representations and Warranties will be listed in accompanying disclosure schedules, which also must be negotiated and agreed upon by the buyer and seller. 8. Rights and Obligations Subsequent to Closing. The Purchase Agreement, in an asset sale, will frequently include a provision requiring the seller to pay over to the buyer any amounts collected post closing related to the period prior to closing. In addition, if the seller will continue to have a relationship with the buyer following the Closing, it is important that this be documented in writing, often in a supplementary agreement. Examples include consulting or employment agreements between a seller and a buyer, lease between a selling physician who may also own the real estate where the practice is located, and agreements regarding billing and collection of seller’s accounts receivable. If, after the sale, the physician will continue in the practice as an employee of the acquiror (which is often the case), compensation terms should be clear. Note: many hospitals favor productivity-based compensation arrangements (i.e. getting paid a percentage of your production) over paying large base salaries, the physician employee should assess whether compensation is reasonable when considering the specific market conditions and the current performance of the practice. It should also be clear whether the hospital will take care of the physician's billing, and what the hospital's expectations are for productivity in general. In addition, other negotiable items should be discussed early on in the process, such as vacation time. It may be beneficial to also include in the agreement a provision that would allow the physician to return to private practice if either party is unhappy with how the deal is turning out (known as an unwind provision). An unwind provision may be tied to specific financial or developmental milestones, or can simply be exercisable by either party if it determines that the arrangement is undesirable. Bear in mind though that the employment agreement may contain restrictive covenants against practicing within certain geographic areas, soliciting the buyer’s patients or referring physicians, or entering into managed care or third party contracts. 9. Practice Managed Care Contracts. These contracts are deemed to be "personal service" contracts, and thus are rarely assumable by the purchasing practitioner. For physicians who are not approved providers within the sellers managed care network, the managed care contract would be of no value and thus, a purchasing physician must discount the managed care patients of the practice when determining the number of transferable patients. However, if the purchasing physician is an approved provider within the same managed care network as the seller, the purchaser will be able to continue treating these patients, and therefore the managed care contract will be a potential asset. A physician who is selling, purchasing or retiring from practice must carefully review all outstanding contracts to determine whether such agreements are either assumable or may be terminated. This will help to ensure that the interests and objectives of all parties will be furthered. 10. Restrictive Covenants. In cases where the seller will not have a continuing relationship with the buyer, restrictive covenants within the purchase agreement will be an important item for negotiation. Restrictive covenants are generally enforceable only if they are reasonable in time and geographic area, and only to the extent necessary to reasonably protect a buyer’s legitimate business interests. Note that some state laws prohibit covenants not to compete in agreements with physicians, citing public policy which favors patients’ access to physicians of their choice. As an alternative to a covenant not to compete, a buyer may insert a liquidated damages clause into an employment agreement in an attempt to prevent the selling physician from leaving the practice or competing with the acquiring entity. 11. Malpractice Insurance When canceling liability insurance, it is important for a physician to determine the form of policy (i.e., claims made or occurrence) he/she is covered under. If you have a claims made policy, it is essential that a physician either purchase a reporting endorsement (a.k.a. "Tail"). However, in the event of disability or retirement, a physician may qualify to receive a reporting endorsement at no additional cost. 12. Indemnification. The indemnification provisions of the Agreement are critical to protect the buyer in the event the seller breaches any representations and warranties or covenants of the Agreement. A seller will be expected to indemnify and hold harmless the buyer from losses arising from the seller’s misrepresentation or failure to disclose liabilities or conditions which ultimately give rise to buyer liability or expense. Buyers and sellers of medical practices need to be aware of fraud and abuse laws when structuring the acquisition. The principal issue in the purchase and sale of a practice is whether any part of the purchase price is in actuality a payment for on-going, or a discounted selling price to induce referrals. 1. Antikickback. The Federal Antikickback Statute (42 U.S.C. § 1320a-7b) prohibits the knowing and willful solicitation, receipt, offer or payment of any remuneration, directly or indirectly, overtly or covertly, in cash or in kind, in return for referrals or in return for arranging, recommending, leasing or ordering of any item or service covered in whole or in part by Medicare or Medicaid. The Anti-Kickback Statute is a criminal statute, punishable by up to five years in prison and/or a $25,000 fine, plus exclusion from Medicare and Medicaid programs. A federal prosecutor is likely to view any purchase price in excess of fair market value as a prohibited payment for referrals. The Office of the Inspector General (“OIG”) has promulgated regulations containing safe harbors to the Antikickback Statute. In order to qualify for any one of the relevant safe harbors, the remuneration must be at fair market value to alleviate any inference that the acquisition is being entered into to induce referrals. There are two safe harbors for sales of practices: one that protects practitioner to practitioner transactions, and an employment safe harbor that protects certain practitioner to hospital or other entity transactions. The employment safe harbor would apply in cases where the selling physician continues as an employee, or otherwise as a professional affiliate of the acquiring entity. Failure to comply with a safe harbor does not necessarily mean that the transaction violates the Statute however. Radiation therapy services; and Radiology services, including MRI, CT and ultrasound. Unlike the Antikickback Statute, which may permit arrangements that fall outside a safe harbor, any arrangement that does not meet each element of an exception constitutes a Stark Law violation, and the prohibition on referral of and billing for Medicare or Medicaid services would apply. Two standards must be met for the practice sale safeharbor: (1) the time period from the date of the first agreement pertaining to the sale (typically the contract of sale) to the completion of the sale may not exceed one year; and (2) the selling practitioner may not be in a position to make referrals to, or otherwise generate business for, the purchasing practitioner after one year from the date of the first agreement pertaining to the sale. In the purchase and sale of a professional practice, either the seller or the buyer (or occasionally both) may be tax exempt under Section 501(c)(3) of the Internal Revenue Code. A tax-exempt organization must be organized and operated exclusively for an exempt purpose. A tax-exempt entity, such as a hospital, may acquire a practice provided that such acquisition is consistent with its charitable purpose (such as providing health care) and is on an arms-length, fair market value basis. Practice acquisitions that give the acquiror a monopoly or market power effectively resulting in the ability to determine market value may violate federal or state antitrust or unfair competition laws. Section 2 of the Sherman Antitrust Act prohibits monopolies and the use of monopoly power, while Section 7 of the Clayton Act prohibits mergers that tend to lessen competition. However, an antitrust “safety zone” protects “physician network joint ventures”, which are physician-controlled ventures in which the network’s physician participants collectively agree on prices or price-related terms and jointly market their services, such as a hospital affiliated practice, IPA, PPO or group practice merger. Physician network joint ventures are comprised of physicians who share substantial financial risk and constitute 20% or less, on an exclusive basis, or 30% or less, on a non-exclusive basis, of the physicians in each physician specialty with active hospital staff privileges who practice in the relevant geographic market. Selling physicians must assure that the buyer agrees to serve as seller’s agent and accept responsibility for retention of patient records and patient access to medical records for the statutory period. A seller is permitted to share protected health information (PHI) with a buyer pursuant to a business associate agreement because the buyer, as a business associate, will use the PHI for “health care operations”, a permitted use under HIPAA. “Health care operations” include business management and general administrative operations of the entity, including the sale, transfer, merger or consolidation of all or part of the covered entity with another covered entity. 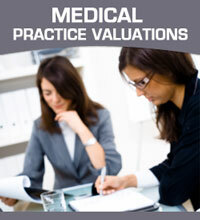 Keep in mind the sale of a medical practice does not include the sale of medical records. A physician may not sell his/her medical records as part of the transfer of their practice because the medical records and the information contained therein is considered confidential. Until a patient authorizes or consents to treatment, the purchasing entity may not review the patient's medical chart. Authorization to review the medical chart or consent to continue treatment may be express (written authorization) or implied (when the patient comes in for an appointment). If you have any suggestions on how to improve this Guide, or would like to know how I can be of assistance as you plan or execute the sale or acquisition of a medical practice, please feel free to contact me. I can be reached via email at rjholloman@hollomanlawgroup.com or phone at 202.572.1004.